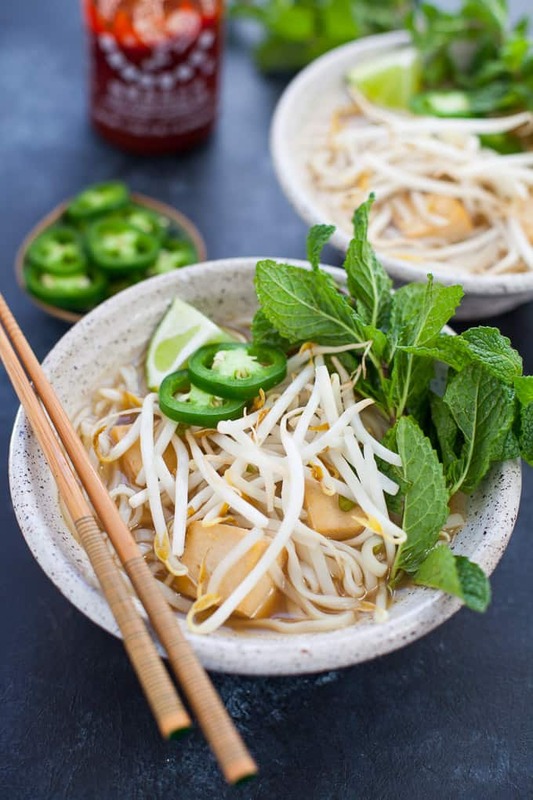 Traditional Vietnamese pho takes an entire day to make; this version only takes under an hour! 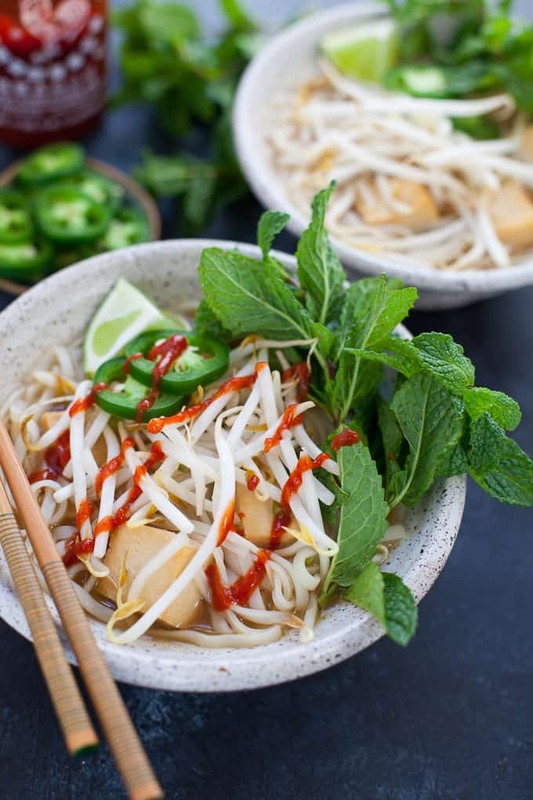 Instant Pot Vegetarian Pho is perfect for a quick refreshing and comforting weeknight meal. It’s been almost a year since Steve and I traveled to Vietnam but I still dream of pho, Banh Mi and Banh Xeo on the regs. Pronounced “fuh” (I always used to say “fo” before traveling to Vietnam), pho is probably the most well known Vietnamese dish here in the U.S. 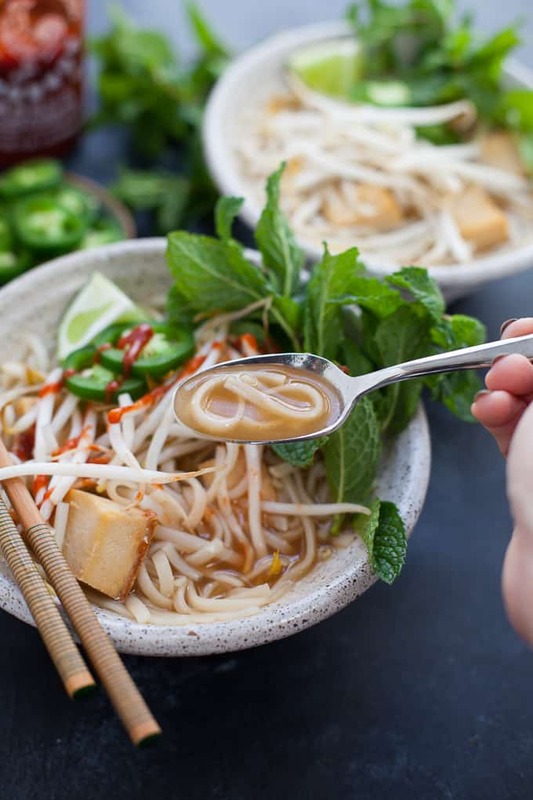 While the base of pho is rice noodles and a flavorful broth, accompaniments vary from beef (pho bo) to chicken (pho ga) and vegetarian options in-between. In Northern Vietnam, pho is left unadorned and the flavor of dry spices like star anise, cassia bark, black cardamom, cloves and coriander seeds shine through. 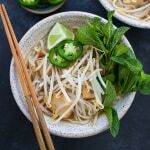 In the South, pho is piled high with bean sprouts, fresh herbs like cilantro and condiments like hoisin sauce, lime and chilies. This version is a cross between North and South Vietnam. The base is Northern but there are options to adorn your pho like you would in Southern Vietnam. Vietnamese spend all day long making their pho, letting the spices simmer and infuse the broth. But since we don’t own a street food shop specializing in pho and don’t have all day to make it, enter the Instant Pot! The Instant Pot makes a super flavorful broth in a fraction of the time. 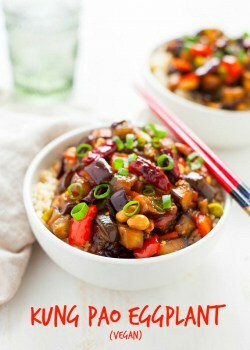 This version is vegetarian (since there are other chicken and beef recipes already on the internet – but you could easily add chicken or beef to this recipe if you’d prefer. I added baked tofu instead! I was also thinking shiitake mushrooms would’ve been a nice touch but sadly they didn’t make it from the recipe draft to the grocery list :). 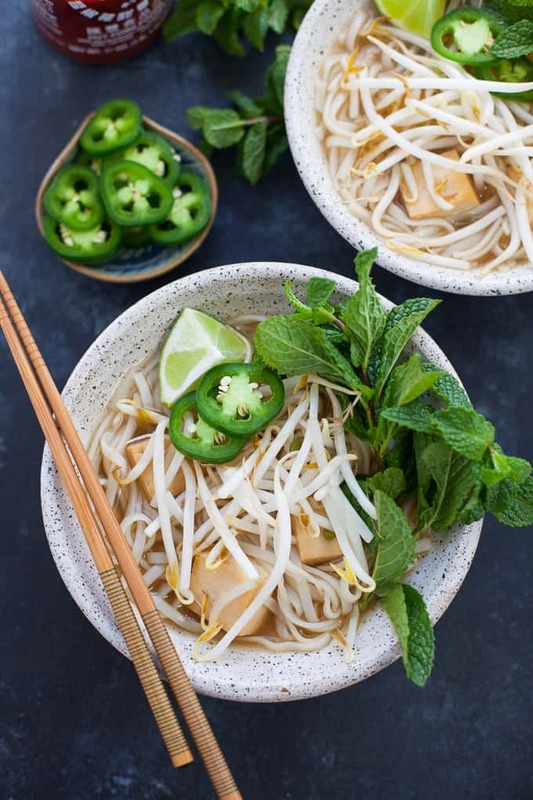 My favorite pho toppings are fresh herbs like mint, cilantro or Thai basil, fresh lime, bean sprouts and a little bit of heat (chilis, jalapeños or hot sauce). In Vietnam, you might also find on the side minced garlic in rice vinegar, fresh chili oil and dry roasted chili oil. It was fun to make this because the aroma of the broth literally brought me back to the smells of Vietnam. I had forgotten what it smelled like. And all the sudden, BAM. There it was. Steve said the same thing when he came home. 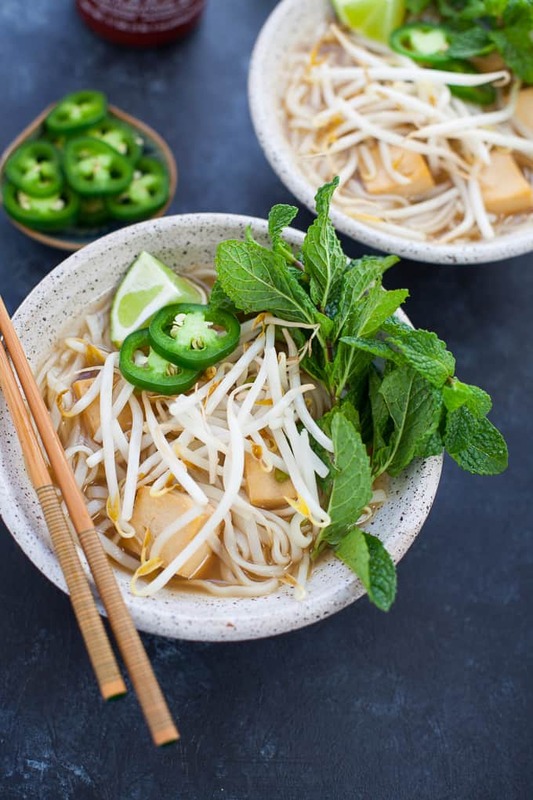 Whether you’ve been to Southeast Asia or not, pho is perfect for a cold winter’s night or when you’re feeling under the weather. Or, if you want to pretend you’re a local, it’s perfect 24-7! Even for breakfast! Add olive oil to Instant Pot and set to saute for 7 minutes. Add onion, ginger, cinnamon, star anise, cloves and coriander seeds. Stir occasionally, letting the onions and ginger char. Add vegetable broth, water and soy sauce. Secure lid on and set to manual pressure for 15 minutes (making sure valve is set to sealing). Spread tofu in single layer on nonstick baking sheet (or baking sheet lined with parchment paper) and bake at 400 degrees F for 25 minutes. Let Instant Pot naturally release pressure for 10 minutes before using quick valve to release remaining steam. Once pressure is released, open lid and using a fine mesh sieve remove and discard solids from broth. 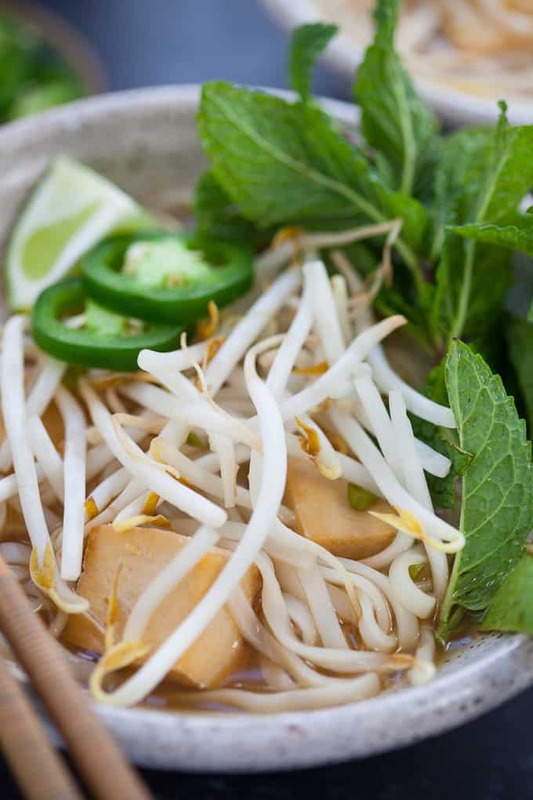 To build your pho, add noodles and tofu to a bowl and pour broth over top. Add desired toppings. Tell me, have you ever made pho at home before? 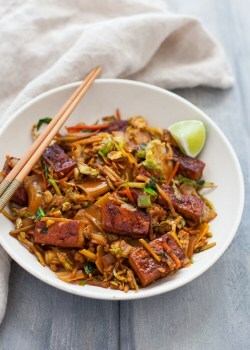 For more easy, Asian-inspired meal ideas check out the recipes below! Are the onions actually added as 4 halves or are the onions chopped? Thanks! This soup is fantastic! It will surely become a ‘regular’ for us. I served it with mint, quickly parboiled bok choy, steamed broccoli, tons of sliced carrots and some roasted mushrooms. Suggestion: Put the star anise, clove and coriander seeds into a tea sachet (empty tea bag) so that they can be easily removed. For that matter, put toothpicks through the ginger sections. This has become part of my weekly rotation. I used to have to drive 45 minutes round trip to get vegetarian pho. 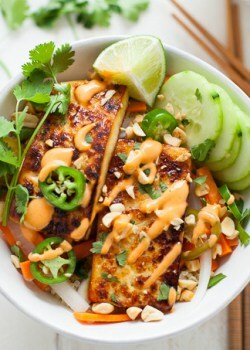 This is so delicious and super easy! I add steamed carrot slices, bok choi, and onions to the bowl as well as scallions. Thanks for sharing this! 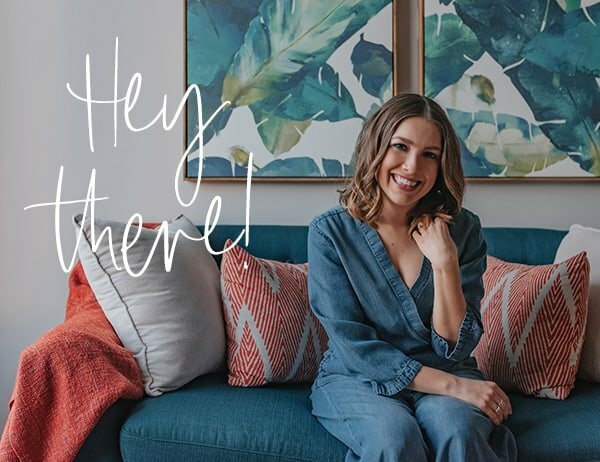 Oh, that makes me so happy to hear, Heather! Woot, woot! Love those additions too. I’ve never had Pho and it sounds awesome! Oh, it’s so good! You’ll have to try it, Lauren! I’ve always want to make pho. 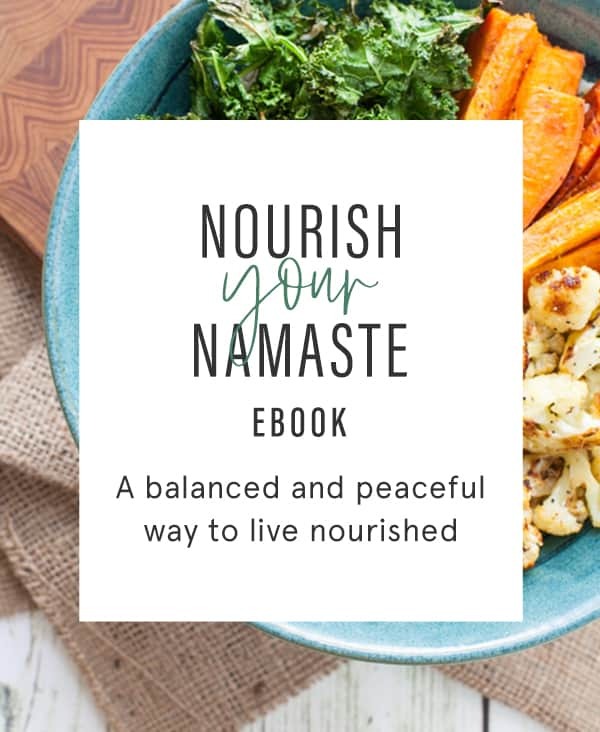 This looks amazing – can’t wait to try! This looks delicious and yet ANOTHER reason why I need to take my Instant Pot out of the box since I purchased in July. Looks great and so easy! 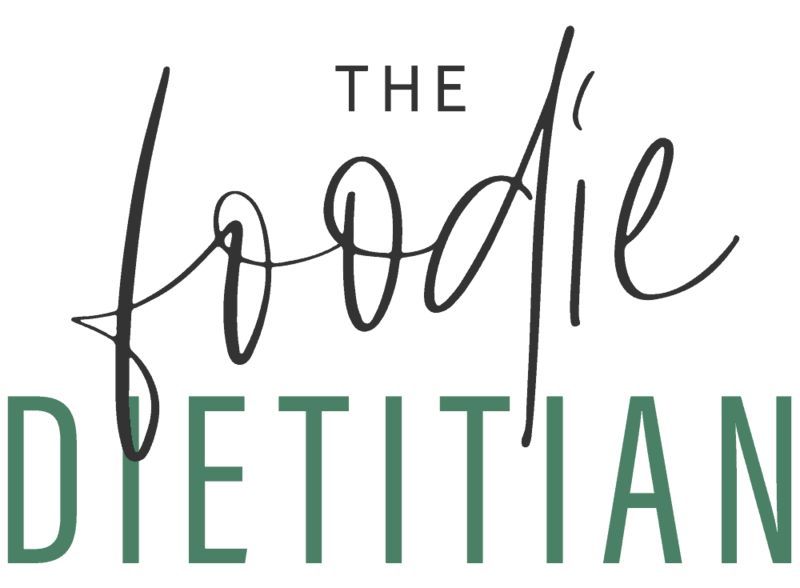 Always love a good instapot recipe! Ooo I love this idea! I’m definitely going to have to try it! Love those mint leaves! This looks delicious! This looks so yummy! I don’t have an Instant Pot but I have several friends who are always looking for recipes. I’ll have to forward this on! Thanks for passing this along, Stacey!